Precious stones are an amazing and unusual phenomenon in people's lives. First of all, because it is sometimes difficult to understand why some stones are considered precious, and others are not, why some stones are valued very, very expensive, and others, sometimes no less beautiful, can be bought cheaply. Indeed, who decides - which stones are considered precious, and which are the most ordinary ones? Why are emeralds and diamonds considered to be the best, but, for example, unakit and selenites and are often excluded from the list of precious stones? The answer to this question is not easy, especially since at different times of human history these or other precious stones were evaluated in different ways. And the reasons for the evaluation were also very different. Sometimes it is the beauty of a stone, in another case - its hardness, in the third - a rarity of a stone, in other cases - some other reasons, sometimes even several at once. And the current characteristics of the evaluation of stones depend on many factors. 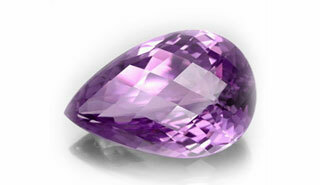 The more interesting it is to learn more about precious stones. 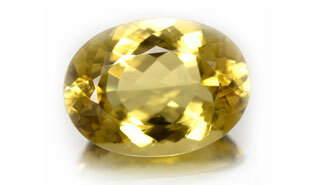 After all, it is not rare that precious stones that are really good for many characteristics can be bought inexpensively. It also happens that the stone is estimated at a much larger amount than it is worth it. 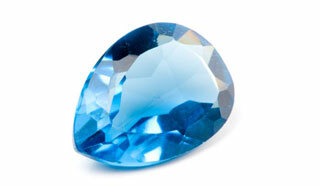 But precious stones are interesting not only at the price. Many of them can tell us very interesting and amazing details. So, for example, there are precious stones that have come to us from unknown cosmic depths (like precious stones of Moldavita), others owe their origin to the now disappeared dinosaurs (these precious stones are called dinibons), others reveal their characteristics only under certain conditions (like asteria - Precious stones with an unusual and very beautiful stellar effect that occurs when light hits the surface of a precious stone). And there are still such stones that are valuable only in that they can imitate others - the more famous ones (for example, the ghoulite gemstone is a famous imitation of turquoise). It is worth mentioning another interesting gem - fianit, which owes its existence to mankind (it was people who created it), and without humanity this stone would never exist. And this is only a very small part of what only a few know about precious stones. Because, it seems to us, our unique Encyclopedia of precious stones will be very much in demand. Moreover, we tried to talk about precious stones very simply, avoiding the complex technical details that are necessary only for professionals (in the beginning, we called our project "ABC of precious stones", which in a simplified form is reflected in the address of the site "abc-jewels.ru ":" Abc "-" alphabet ", and" jewels "-" jewels ", but later decided to rename the more correct - "Encyclopedia of precious stones - all known and unknown stones"). In addition, we have included in the encyclopedia not only precious stones, but also such stones, which are commonly called semi-precious stones. Even so-called ornamental stones have come to our pages. And here we were guided by the fact that nowadays many jewelery with such stones are sold in jewelry shops, and of course they are worth knowing about, especially since semi-precious and ornamental stones are usually priced lower than precious stones, although, as already mentioned, sometimes according to Their characteristics are not inferior to the latter. Also on our website you can learn about the magical and healing characteristics that have long been attributed to people by this or that precious stone.